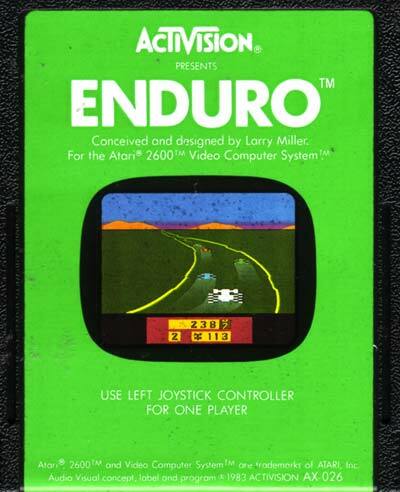 I am having difficult getting Enduro to start; It loads fine, but space bar, F, arrow keys...none of them work to actually begin game play. 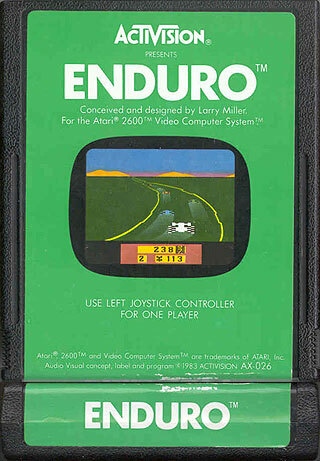 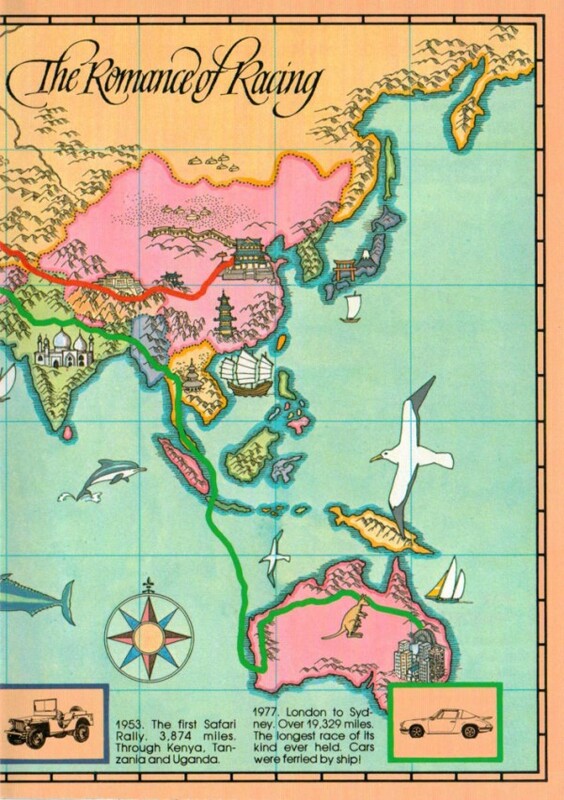 This game must be something like a prelude to Road Race. 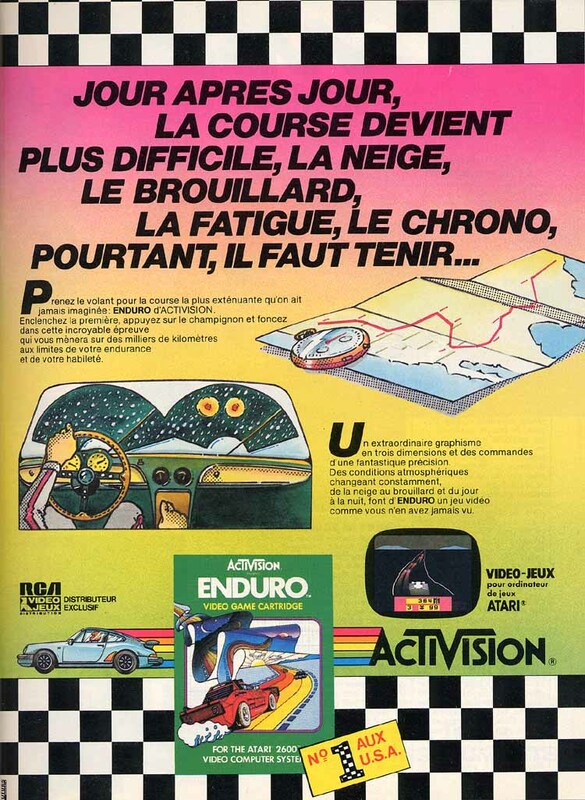 The programmer is different, but the sounds, graphics, control, changing of seasons, and daytime is just like it was in TGACCRR. 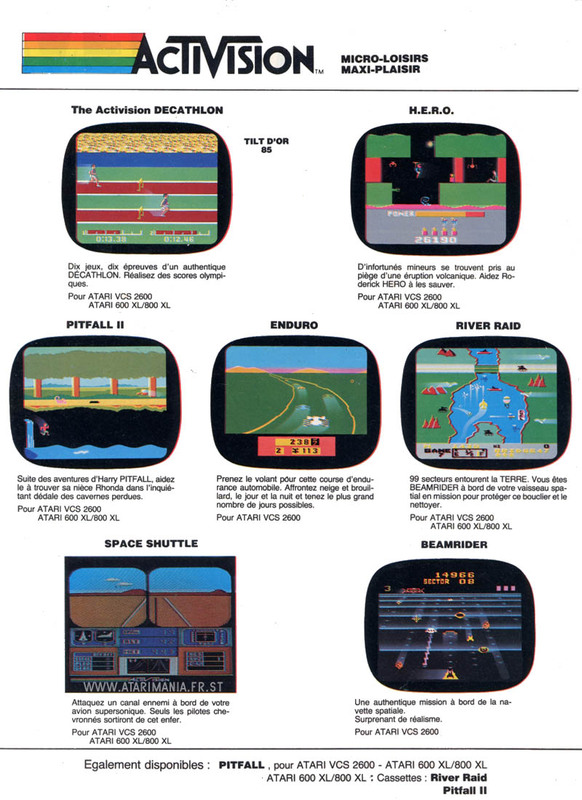 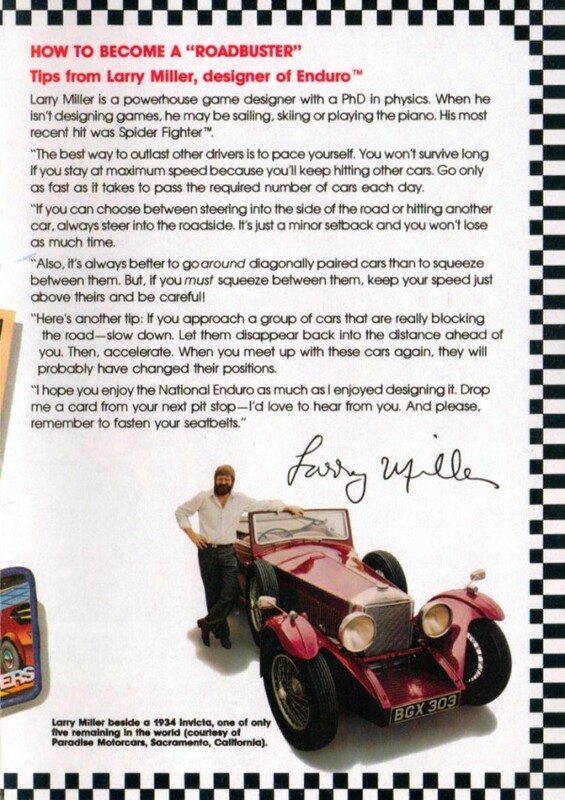 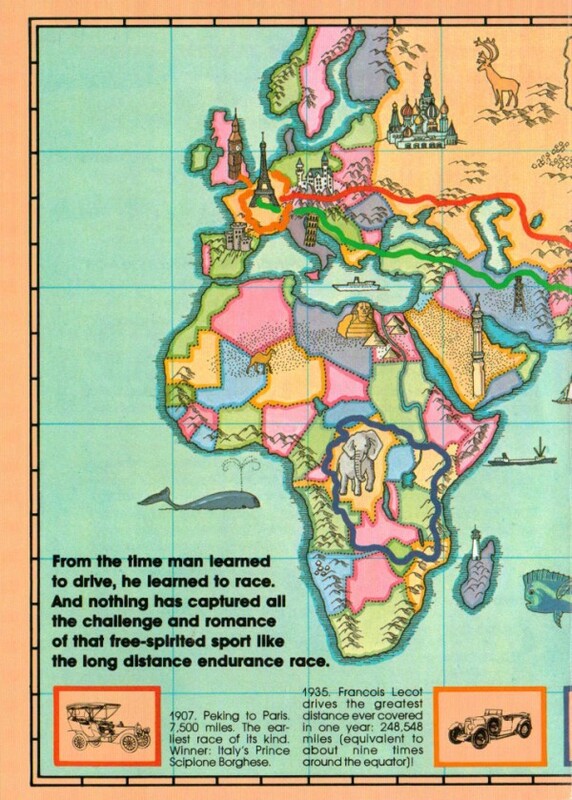 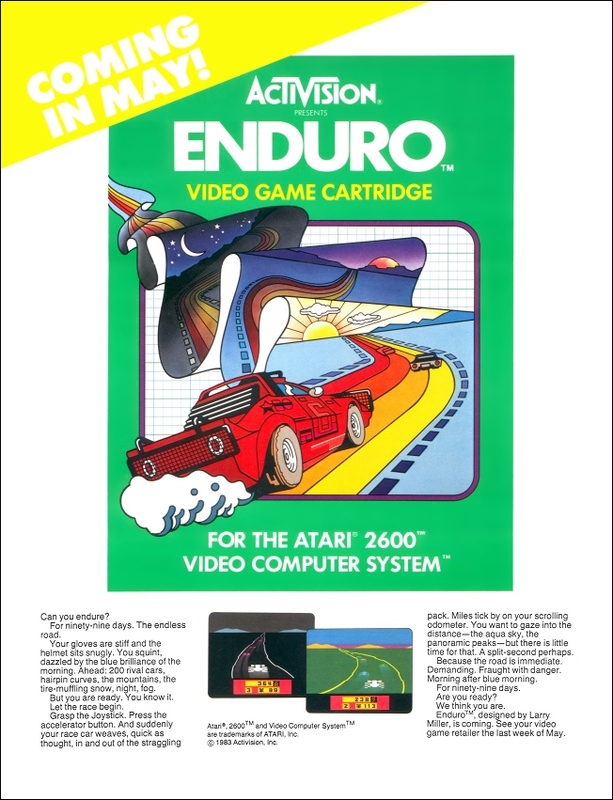 As for A2600 it's great! 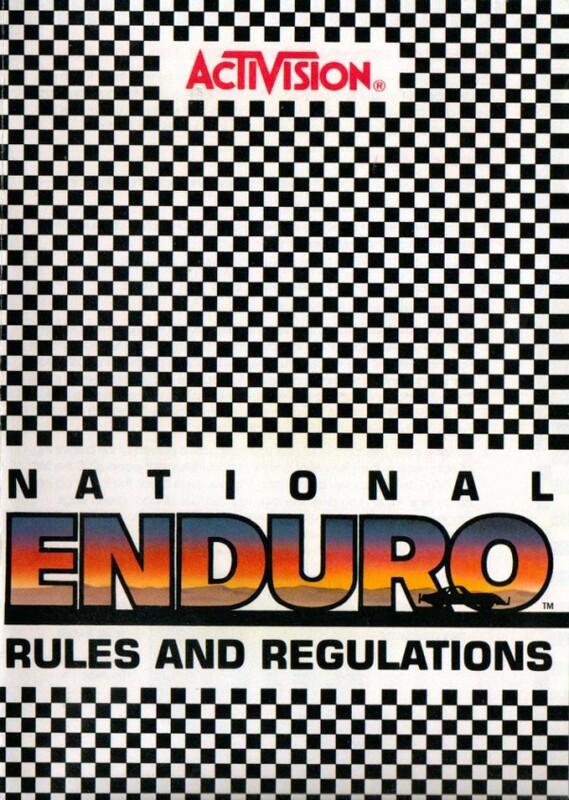 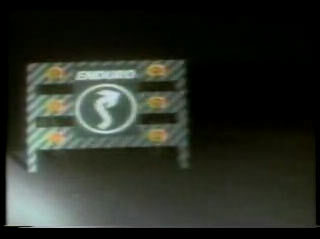 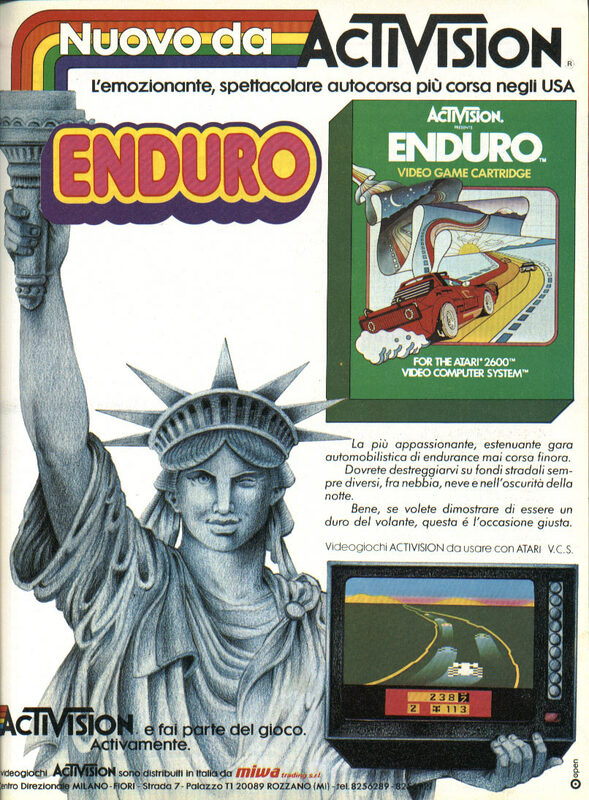 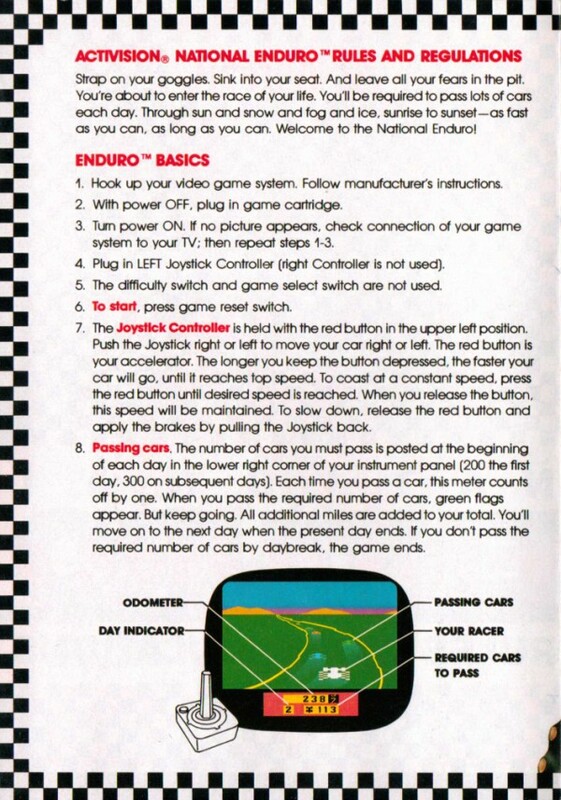 If you endure for 5 days or more, a racing trophy will appear on screen. 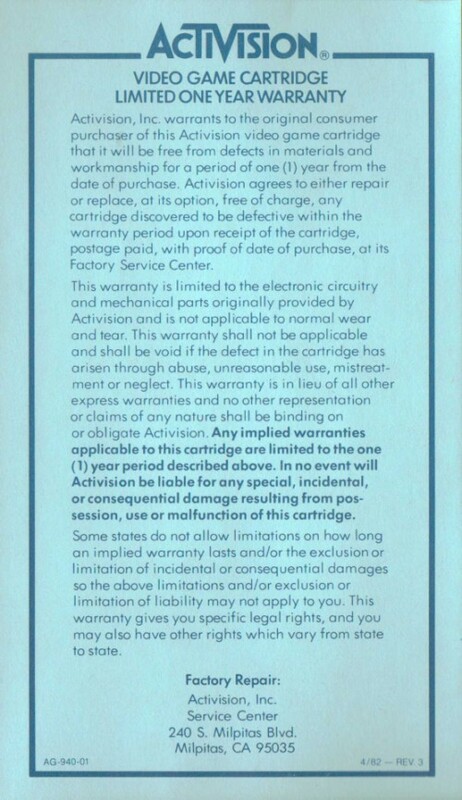 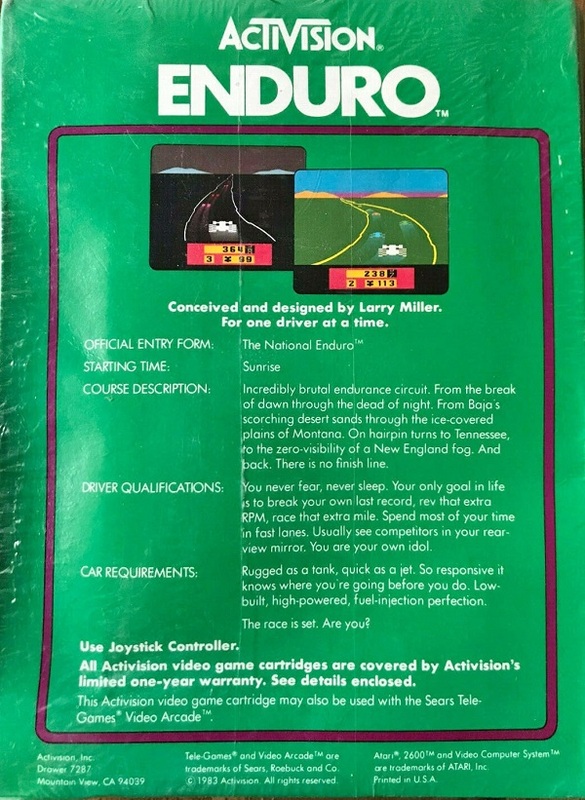 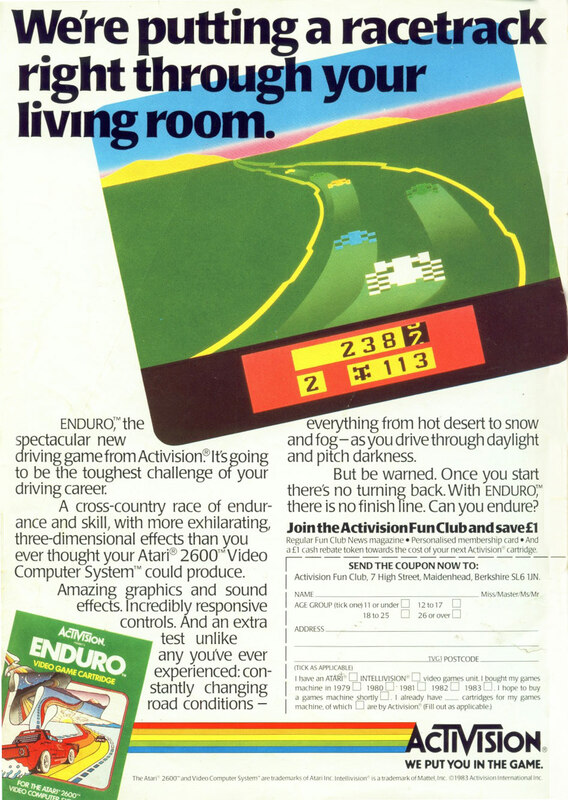 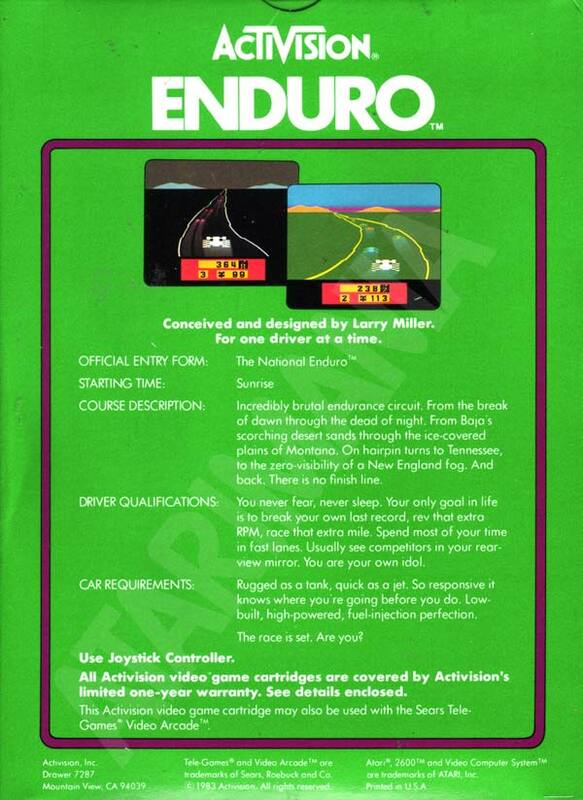 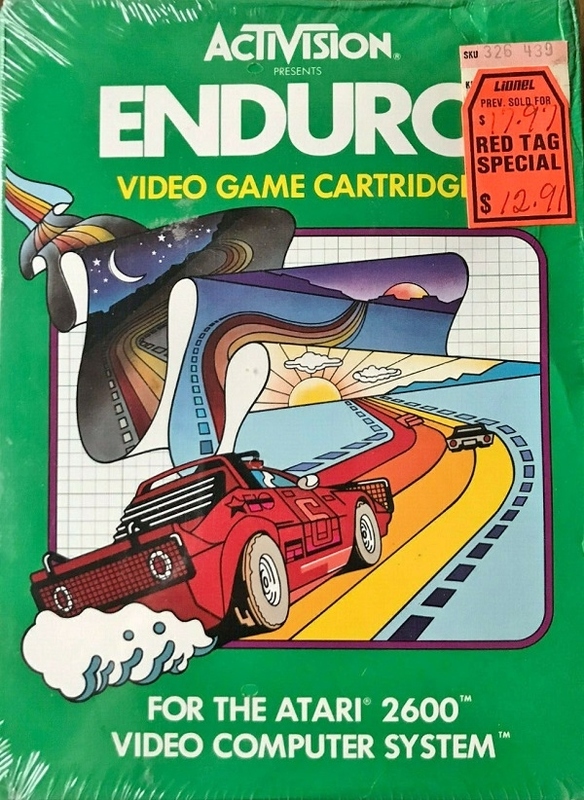 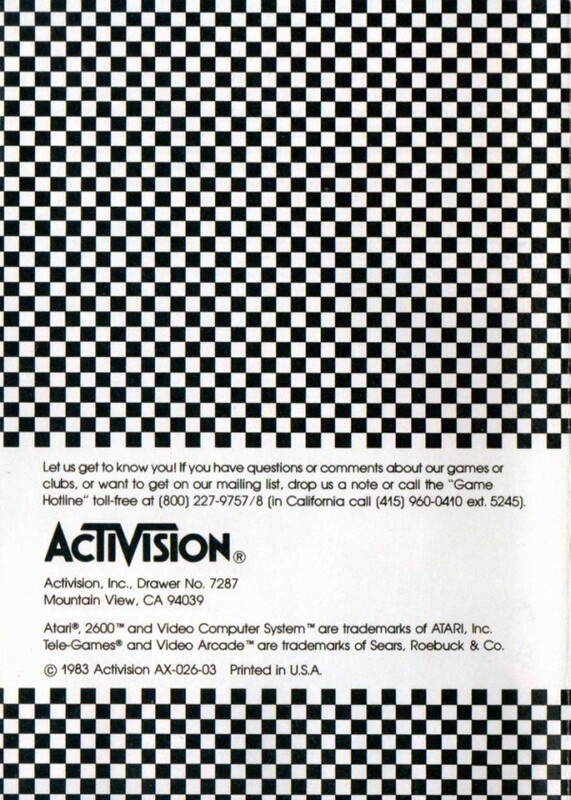 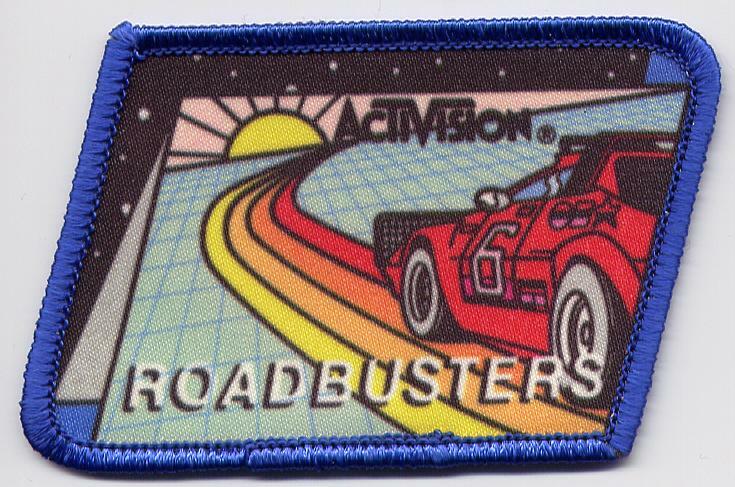 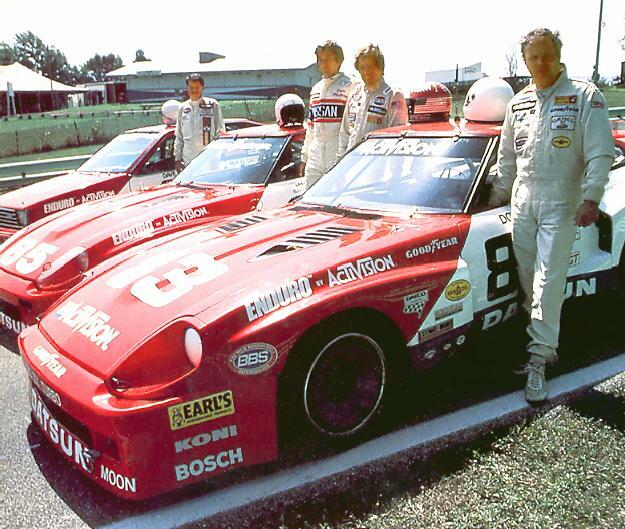 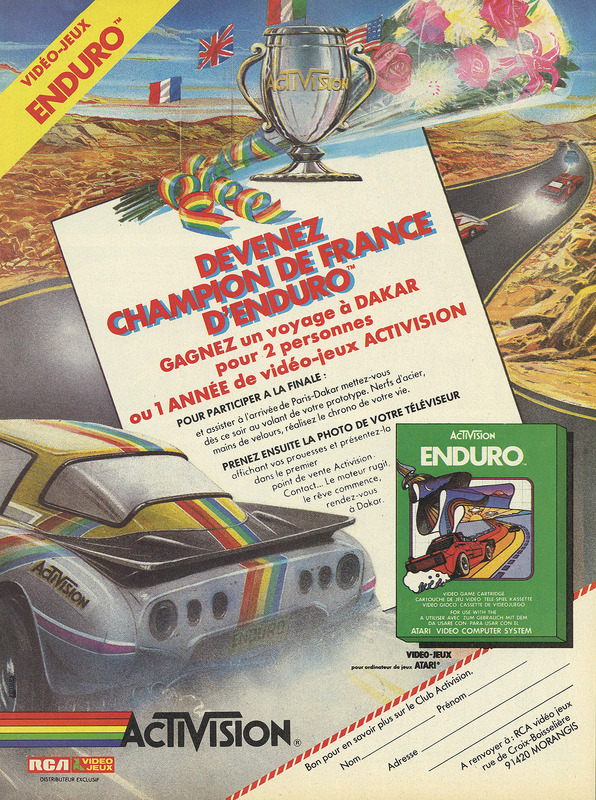 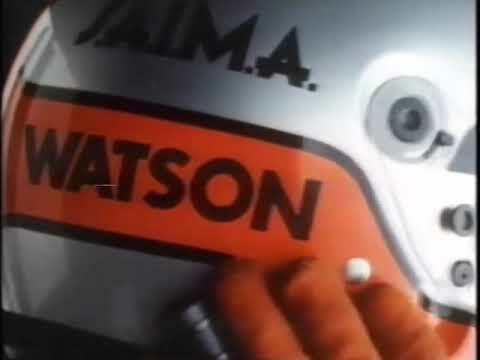 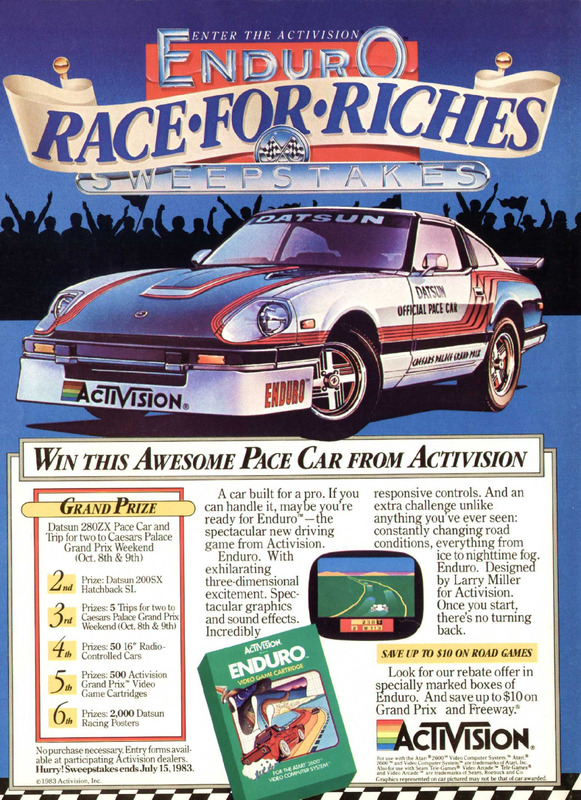 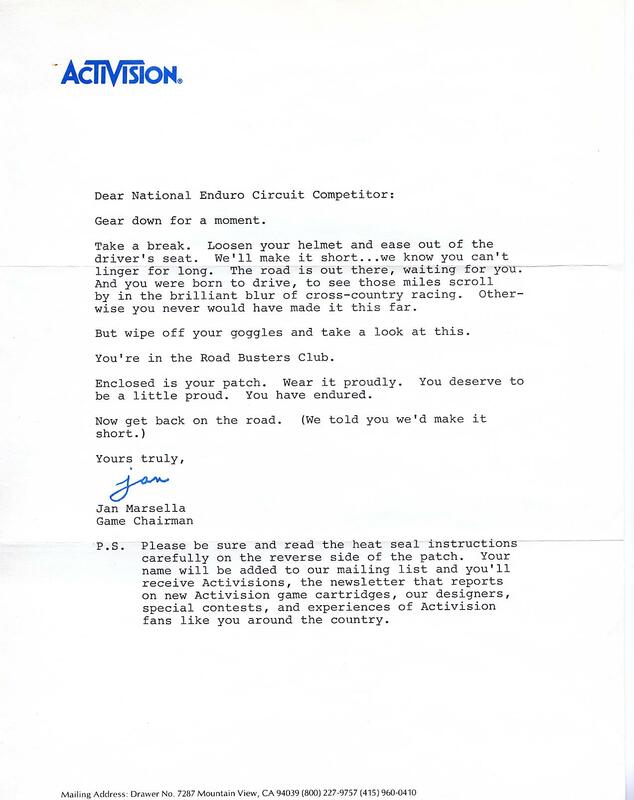 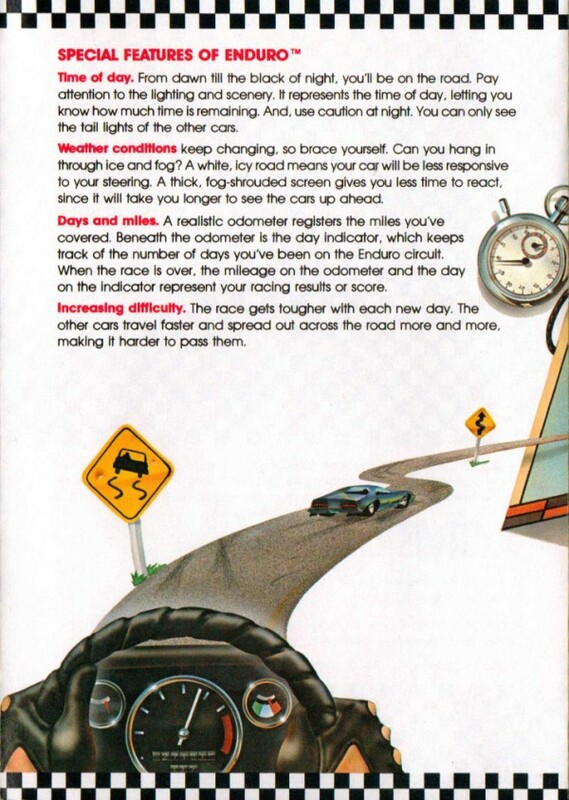 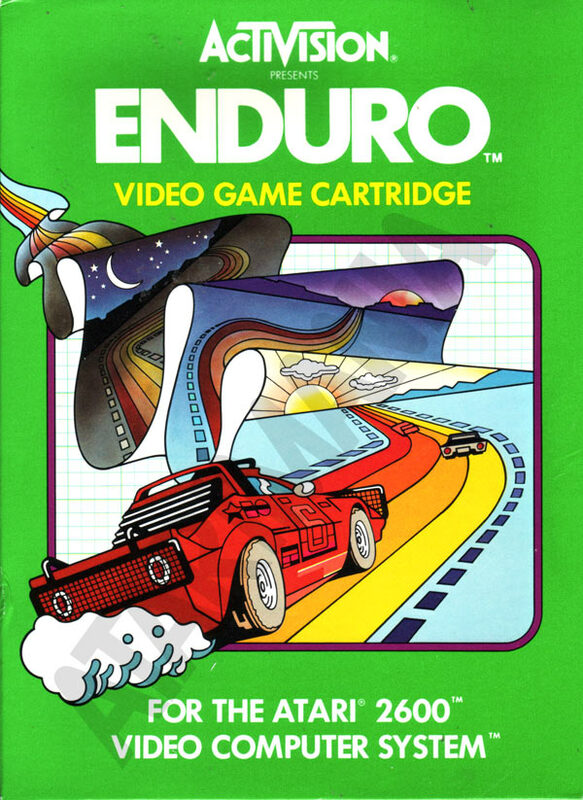 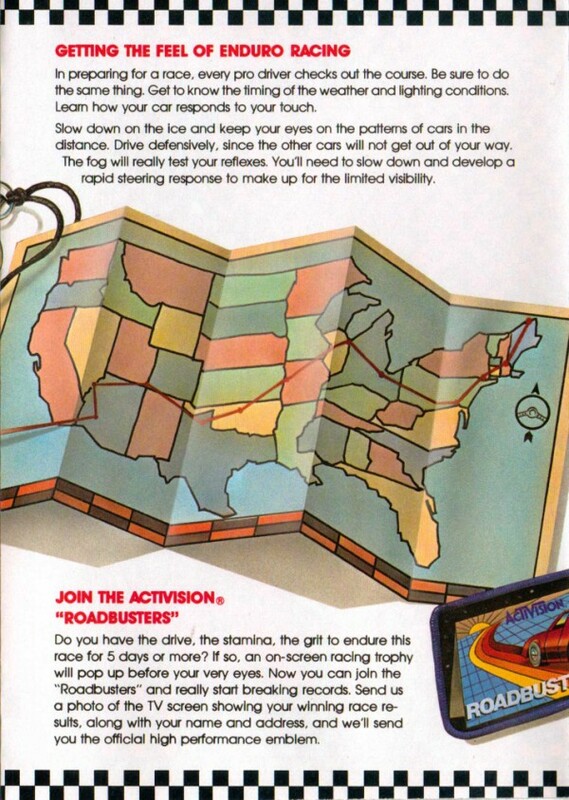 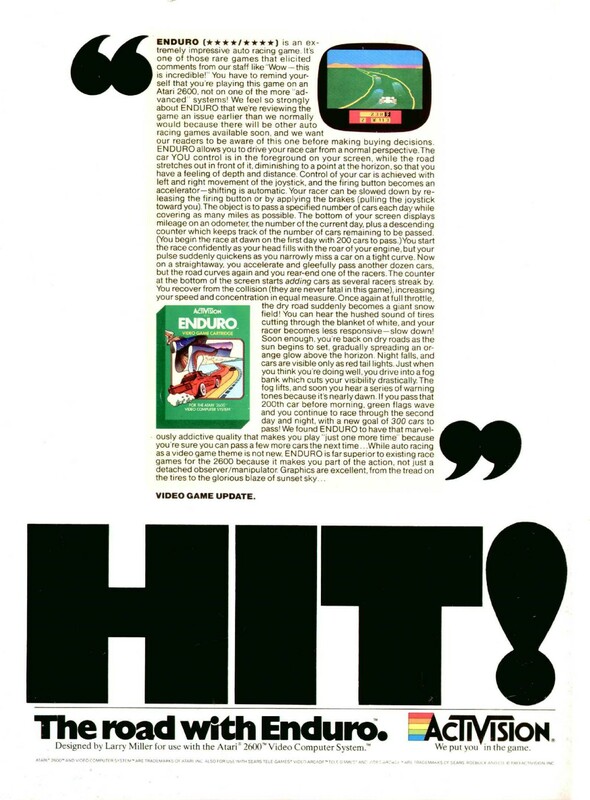 In 1983 Activision held a contest ('The Activision Enduro Race for Riches Sweepstakes') in which you could win a Datsun 280ZX Pace Car and a trip for two to Caesars Palace Grand Prix Weekend.